Heem, a man in Nepal: There is an agent in our village. He asked me if I’d like to go to a foreign country. I had to pay the air ticket myself. And I had to pay the agent. I had a medical checkup before going abroad. I went to Malaysia to make furniture. I did packing. There was sawdust. We men slept in a small barracks room. There was a fan but no windows. It was hot. By the eighth month I was there, I had trouble breathing. I had a fever and there was blood when I coughed. I was very thin. I worked there for about a year. I got paid only 90,000 rupees (800 euros). 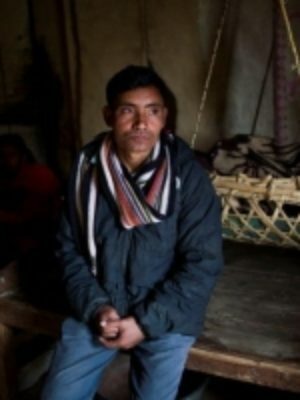 When I returned to Nepal, I had tuberculosis and leprosy. I took medicine for a long time. Now I feel better. Caritas Nepal’s partner gave us a loan to buy chickens. Now we sell the chickens and make a little profit, especially during festival time.